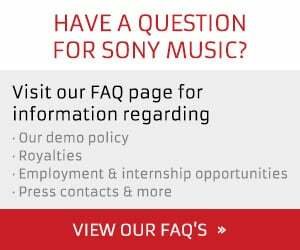 New York – February 2, 2018 – Dasha Smith Dwin has been named Executive Vice President and Global Chief Human Resources Officer for Sony Music Entertainment, effective February 5, 2018, it was announced today by Rob Stringer, CEO, Sony Music Entertainment and Kevin Kelleher, COO, Sony Music Entertainment. Based in New York, Dwin will report to both Stringer and Kelleher, leading Sony Music’s global human resources function including talent acquisition, talent management, total rewards and organizational development to support global operations at Sony Music. Dwin joins Sony Music from global alternative asset management firm GCM Grosvenor, where she began working in 2011. Serving as Managing Director, a Member of the Office of the Chairman and Chief Human Resources Officer, she helped manage the day-to-day operations of the firm. Her scope as head of the firm’s global human resources strategy brought talent acquisition, diversity and inclusion, compensation, benefits, learning and development, employee communications and talent management under her purview. Prior to her time at GCM Grosvenor, Dwin worked at Time Inc. from 2002-2011. Serving as Head of Employee Relations and Chief Employment Counsel for five years, she was responsible for employee relations and labor and employment matters for approximately 10,000 global employees. Prior to that, she worked as Assistant General Counsel. Dwin spent her early career in London and New York in a series of corporate associate roles for international law firms including Latham & Watkins, Covington & Burlington and Paul, Weiss, Rifkind, Wharton & Garrison. A native of Denver, Colorado, Dwin received a B.S. in finance from Georgetown University and a J.D. from the University of Virginia. She serves on the Georgetown University Board of Regents and the University of Virginia School of Law Board of Advisors. She also is a trustee of the Dalton School in New York City.